ThinkGard, Datto’s U.S. 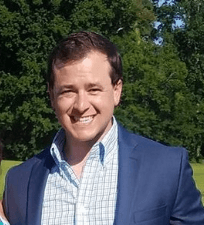 Partner of the year in Pelham, Alabama is pleased to announce the hiring of Nolan Griffin, a former Business Development Manager for ITAC Solutions, as their first Birmingham based Sales Executive. In his new role, Griffin will serve to uncover new business opportunities and guide prospective clients through the sales process. ThinkGard’s President, Kevin Fuller says, “We are excited to have someone who already has a strong local presence who many business leaders in the community already know and trust. Traditionally we’ve hired Technical people for our sales positions but found that we really needed someone who not only understands how to guide people through the sales process but helps advocate for the prospective client at the same time”. Nolan is active in the Birmingham Metro community. He is the former Assistant Coach for Magic City Diving and currently serves as a Junior Board Member of the Exceptional Foundation.